"You must commit with all that you have to give. The greatest defeat is failing to move forward." 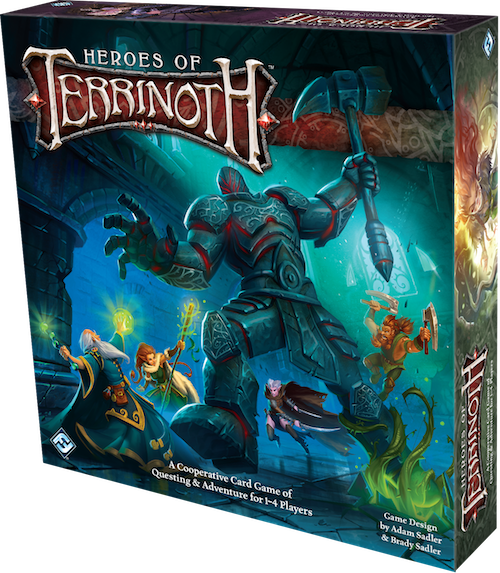 Heroes of Terrinoth turns one to four players into the realm’s greatest heroes, standing fast against the darkness. 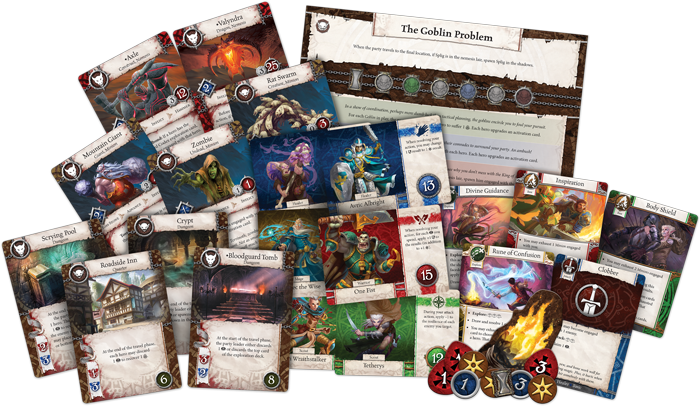 This immersive game offers you twelve playable heroes to choose from, each with a unique ability to help you survive and navigate the many treacherous locations of Terrinoth. You fill your band with warriors, mages, scouts, and healers before setting out for your perilous quests, and by leaning on one another’s strengths, you will find that you are stronger as a team than you ever could have been as individuals, forming a formidable fellowship to face the most fearsome foes. As members of powerful classes within your archetypes, including spiritspeakers, wildlanders, and geomancers, you have the chance to develop your skills and enhance them with tools you gather throughout your journeys, advancing from a fledgling student to a true master in your field. 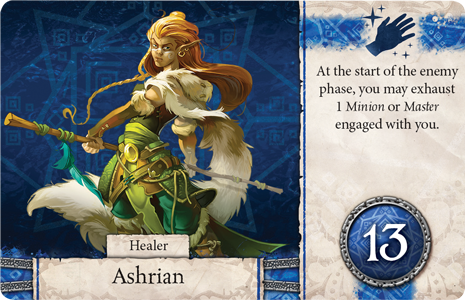 Your troupe of adventures will face eight quests over the course of Heroes of Terrinoth. In each, you will be set upon by a torrent of deadly enemies as you attempt to earn your place in the annals of history. Every quest has a unique story, objective, setup, and monster deck that's guaranteed to offer you a varied play experience as you battle your way from goblin-infested tunnels to the dreaded marshes of the Mistlands. 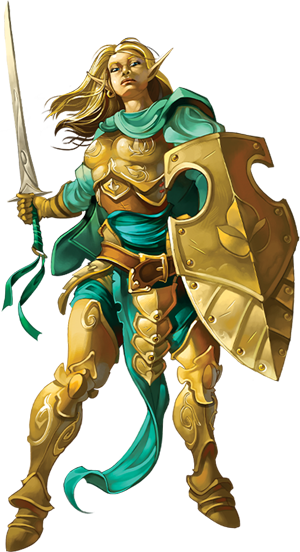 Not only will you be seeking personal gain in your adventures, you will also have the chance to become a noble hero, protecting the innocent from the dangers that seek to tear Terrinoth apart. 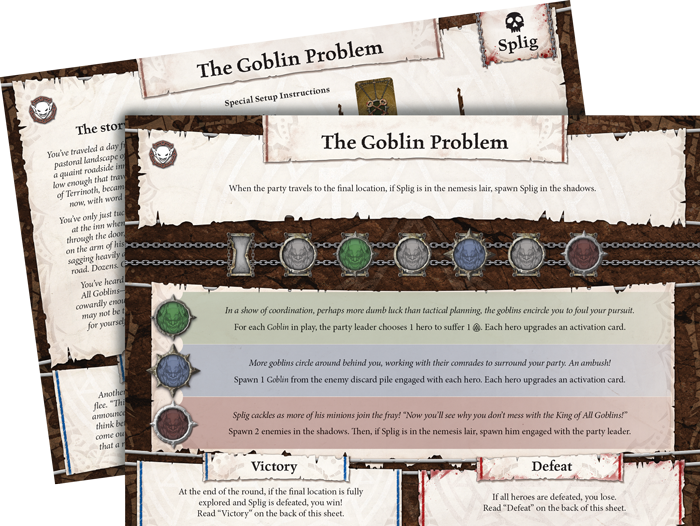 Your story starts with “The Goblin Problem,” when your peaceful journey through Allerfeldt is interrupted by news of a goblin band terrorizing travelers along the roads, headed by a self-proclaimed king-of-all-goblins. You are familiar with tales of this miserable maggot, and while this may not be the glorious, heroic mission you had originally envisioned for yourself, it should prove a useful opportunity to hone your skills and crack a few skulls while you’re at it. As you delve into the story of your quest, you will play through a series of rounds, each consisting of four phases: the Hero Phase, Enemy Phase, Peril Phase, and Travel Phase. During the Hero Phase, you can perform the actions that will advance your story. You may Attack enemies engaged with you, testing the luck of your hero dice against the enemy dice of your opponent. Should you suffer any injuries, you can use a Rest action to heal a wound. If you find that you are in a better position than your allies, you may choose to help them with an Aid action, allowing them to store successes for a later time if fate turns against them. Lastly, if you are ready to move on and delve deeper into the caverns, you can use an Explore action to investigate your current location and, once you have uncovered all the secrets there to discover, move on to new and mysterious areas during the Travel Phase. Once your team has performed the actions that you select, your opponents have their chance to counter during the Enemy Phase. At this time, your foes are ready to strike, slip in and out of the shadows, or attack any heroes they are locked in combat with. Commonly, your foes will advance to engage you, retreat until their moment arises, or inflict damage on their opponents in battle. Most enemies arrayed against you also have more specialized abilities that they can use to catch your team of heroes off-guard. You must always keep your weapon at the ready and one eye on the exit! Next, during the Peril Phase, the strain of your situation takes its toll as you advance the peril marker on your quest sheet. With each advancement, you must resolve an ever-more-terrible effect that shifts and changes as the quest advances. Even if you reach the end of the peril track, you must continue to resolve the final and deadliest peril each time the track would advance, denying you any hope of relief unless you complete your mission or somehow find a way out! Your chance to move about the map comes in the Travel Phase. At this time, if you have successfully investigated your location and made the requisite amount of progress, your party can move to a new location drawn from the location deck, leaving behind any enemies cowering in the shadows. Each new location you enter will be accompanied by its own set of enemies, forcing you to choose whether your party wishes to deal with the devil you know or the one you don’t. Still, fortune favors the bold, and those who play it safe rarely claim victory in the Land of Steel. 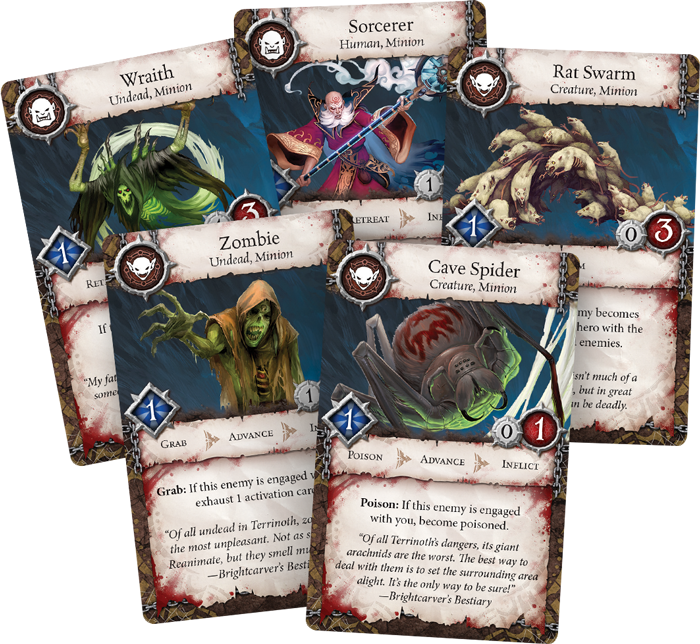 As new threats arise, Terrinoth needs champions to defend its citizens from the evil forces that gather strength in the dark corners of the realm. This is your chance to become the hero that bards will sing of for generations. Assemble your allies, stand against the darkness, and experience the adventure of a lifetime!